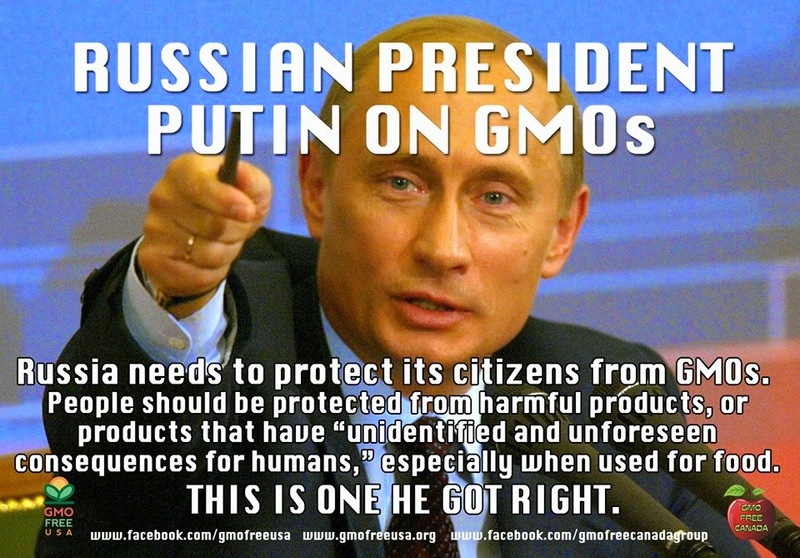 Russia must protect its citizens from the use of foods derived from genetically modified organisms (GMOs), and this can be done in compliance with the country’s obligations under the World Trade Organization (WTO), Russian President Vladimir Putin stated Thursday. “We need to properly construct our work so that it is not contrary to our obligations under the WTO. But even with this in mind, we nevertheless have legitimate methods and instruments to protect our own market, and above all citizens,” said Putin at a meeting with members of the Board of the Russian Federation Council. He stressed that the market and citizens should be protected from substandard products, the use of which are eaten until people calculate the consequences. “This is what we will do with the public, with experts , with senators , we will move in the direction of protecting our citizens,” the President of the Russian Federation said. During the meeting, one of the senators noted that to date sales of GM seeds worldwide has totalled about $ 50 billion. “And the main owner of the rights to GMOs – the United States,” – he said. The Senator asked the president to take control of this problem, recalling that there was a bill to ban the import of GMOs.